Oooooooooh a movie review! Yes, kiddies, this is not a music review but in fact a movie review. However, it does have a place on The Sound Hound. This is not in fact any regular movie review. 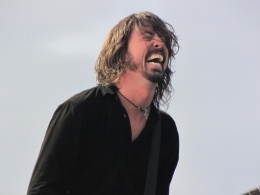 This review discusses the new documentary film, Sound City directed by the one and only Dave Grohl (you know, that dude from Nirvana, Foo Fighters and pretty much every other band?) So, like all the other articles I’ve had published in The Justice, the link is below. Check it out. Below is a link to my review of the illustrious DJ A-Trak’s performance at Brandeis’ Winter Concert in the school paper, The Justice. Enjoy!